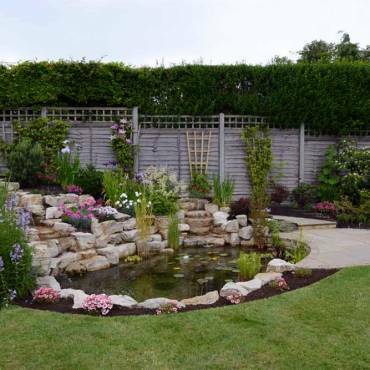 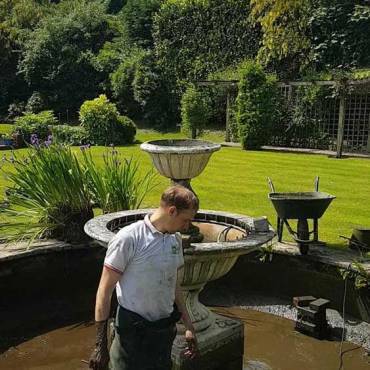 Full garden landscape design with planting and water feature in Sarratt, Hertfordshire. 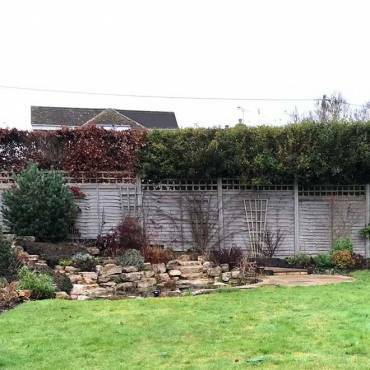 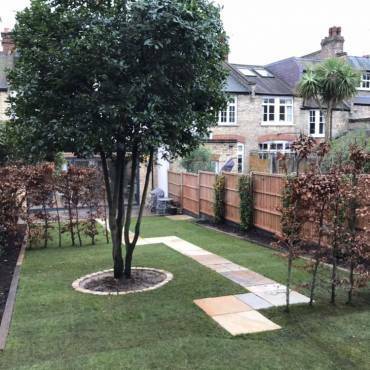 A large area of patio has been given structure by incorporating raised flowerbeds filled with a variety of plants and shrubs. 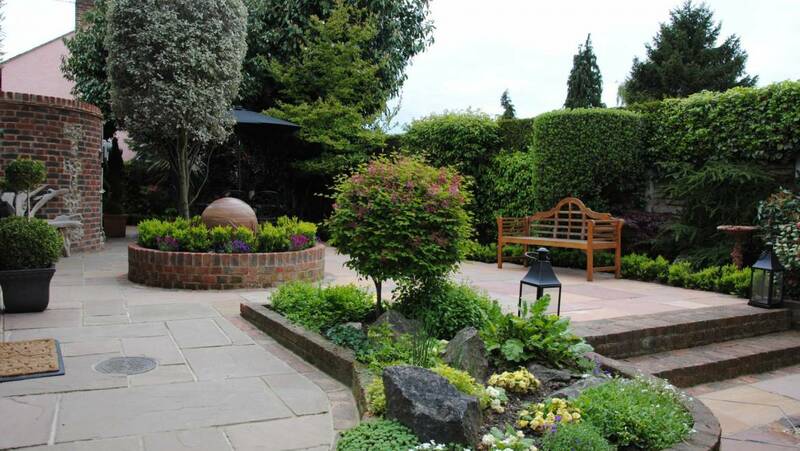 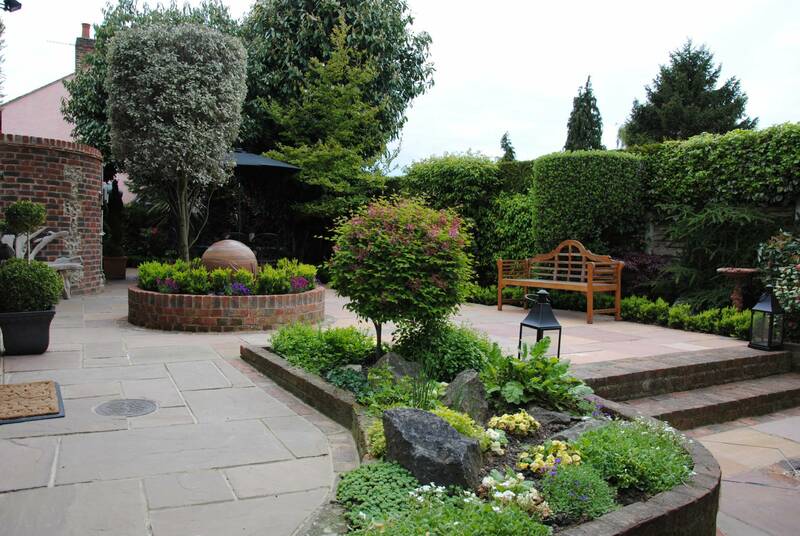 A large rainbow sphere water feature placed in the centre of the circular flowerbed compliments the colour of the paving and softens the patio adding a sense of calm with the sound of running water.